I had only two pieces of fruit left in the fridge the other day, one apple and one nectarine, which I was planning on virtuously eating raw as part of lunch when I realised with glee that I also had the makings of a crumble topping. 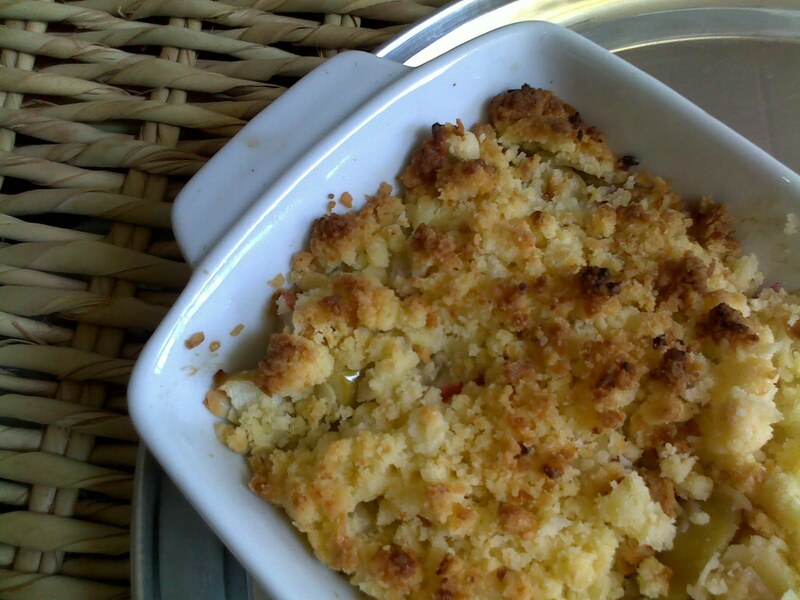 Below is the recipe for the two-serving gluten-free crumble which resulted, and I have to say, it was one of the best I've ever made. - Butter the base of a baking dish. - Put over crumble as topping. - Bake for 10 mins at 200 degrees celsius, shuffle crumble lightly using a fork, and then bake for another 10 mins at 175 degrees celsius. "Virtuous people are simply those who have not been tempted sufficiently..."